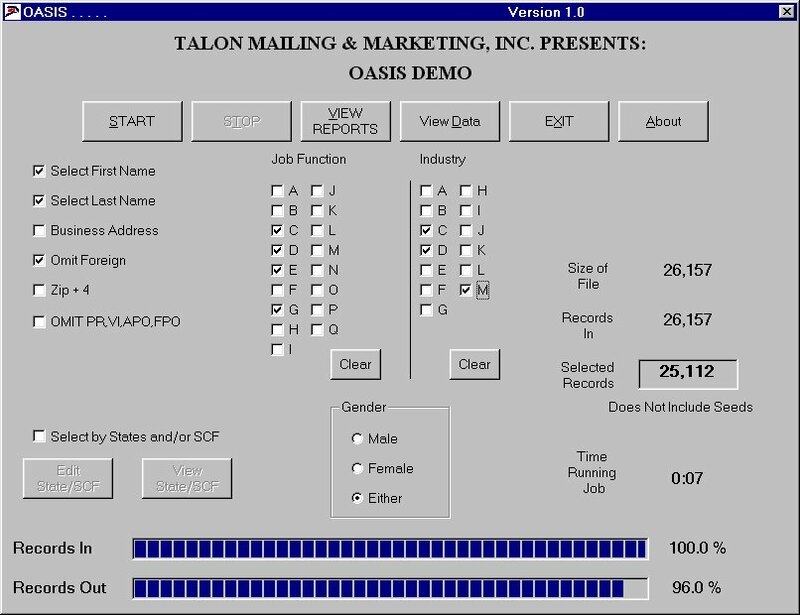 Welcome to the Talon Mailing & Marketing November 2014 Newsletter. Because social media is all the rage, many businesses sometimes overlook the power of direct mail marketing. It seems that these days it’s all about Facebook, Twitter, Instagram and Pinterest. Because social media is all the rage, many businesses sometimes overlook the power of direct mail marketing. Even in today’s digital world, direct mail can be a powerful tool and produce solid results. 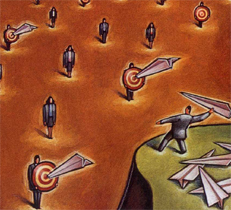 And the biggest advantage is that you can narrow your focus to your exact target market. Direct mail isn’t as expensive as many think. Tartaglia says that the average campaign his firm runs costs between $2,000 and $4,000. The return on investment, he said, is that if you send out 10,000 postcards, owners will most likely get between 25 and 1,000 responses. It’s essential to track the actual response rate. By knowing your actual return on investment, you can make necessary tweaks in campaigns, repeat successful campaigns and make informed decisions regarding your advertising and marketing budget. For calls to action, such as offers and coupons, use a unique code that will allow you to track the response to each specific direct mail piece. If the call to action is a phone call, train employees to ask new customers how they heard about your business and note who became a customer due to the mailing. Since 99 percent of those who receive the mailing are going to throw it away, Tartaglia said owners have five seconds to get the reader’s attention. • Use high-quality glossy thick card stock and full color so that the images pop on the page. • Know the card’s purpose. 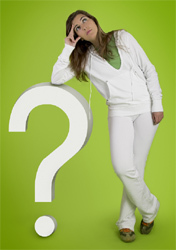 Are you highlighting a grand opening, a new service or trying to increase sales on a specific product? • Have a simple headline and use text sparingly. Make the card easy to read with an obvious message. • Create a powerful and enticing call to action. It could be an offer, event or a coupon. Develop a marketing plan, set aside a marketing budget and then spend it. You’ve got to get the word out about your business. Throughout my years of working with small-business owners, “How much should I spend on marketing?” is one of the questions I get asked the most. Is 10 percent of my total revenue too little? Is 20 percent too much? Unfortunately, the rules are not hard and fast. As a result, most small-business owners just do seat-of-their-pants marketing. One month, they might advertise with Google AdWords. The next they might try Facebook. And the next month, they might advertise in a local publication when a friend suggests it worked for him. Or they just don’t market at all. And in the long run, that is disastrous. • Percentage of sales. Some companies set aside a certain percentage of total sales for all their marketing activities, including advertising, public relations, brochures, social media and trade shows. In other words, if your handmade furniture company had $200,000 in sales in the past year, and you set aside 5 percent for marketing this year, your total marketing budget would be $10,000. Budgeting this way is tempting. After all, it’s easy. But it’s also arbitrary. You may spend too much or way too little. For instance, some companies, such as Costco, do virtually no advertising. Advertising isn’t necessary for the giant warehouse store’s success, and it operates on tiny profit margins. At the other extreme, the online contact-management company Salesforce.com spent $25.4 million on marketing during its first year in business with only $5.4 million in sales – 470 percent of its revenues. That spending has paid off since its yearly sales are now in the billions. In practice, the bulk of established companies spend 1 percent to 15 percent of total sales on marketing annually. That’s a wide range: For a million-dollar company, the figure could be anywhere from $10,000 to $150,000. • Goal-based budgeting. With a goal-based marketing plan and budget, you have to define your business goals and develop a course of action. If you aim to secure 200 new customers, what will it take to acquire them? How much advertising do you need? At which trade shows do you need to exhibit? Do you need to hire a social-media marketer? This kind of marketing budget makes the most sense. It also takes the most work. Of course, you may have to trim back spending to meet the realities of your small company’s finances, but at least the budget is based on what is necessary to accomplish your goals. In your own business, what factors can help you figure out how much to spend? • Your profit margin. If you have a low profit margin, you can spend only a small percentage of your revenues on marketing. Examples of such companies include grocery stores and discount stores. On the other hand, companies with high profit margins can spend a much higher percentage. If you don’t have to spend a lot on manufacturing, inventory or high rent – say you’re a software, Web-based or service company – you can spend more on marketing. • Large or hard-to-reach market. If you’re ambitious and trying to reach a very large market, you’ll need a big marketing budget. That’s why I recommend that smaller companies target smaller markets such as specific industries or geographic areas because the cost is not as high to reach your prospects. • Newness. If you’re trying to get launched, get noticed or gain traction, you’ll spend a higher percentage of your total dollars than you will need once your company is established. Yes, a start-up’s revenues are small, but your need to develop a customer base is critical in your early years. • Aggressive competition. Let’s face it, if your competition spends a lot of money on marketing, you probably will have to spend a lot, too. Here’s the most important rule: Develop a marketing plan, set aside a marketing budget and then spend it. You’ve got to get the word out about your business. If you cannot engage your reader, you won’t see the return you are anticipating. When utilizing direct mail, you have the ability to land your marketing piece directly in the hands of your ideal prospect. The physical look has to be eye catching enough to catch their attention, but remember “content is king” for a reason. Below are some tips to remember when writing the copy for your direct mail marketing. If you cannot engage your reader, you won’t see the return you are anticipating. 1. Keep it short and sweet: Long messaging discourages people from investing their time in your direct mail piece. If you keep your message brief and to the point, your reader can quickly determine the importance of your message and choose to read further or take action. 2. Make it easy to take action: No matter what you are asking your reader to do—call, buy, request more information—make sure they can take action easily. Include clear contact information, such as Web sites, phone numbers, e-mail addresses, etc. If you want them to request more information, make sure you have an easy-to-use return form or landing page online. 3. Be active, not passive: Relationships form with personal touches. Whenever possible, use active verbs instead of passive. For example, “I’ll send you the details of your pending contract” instead of “Your pending contract will be sent later this week.” These small details will help you build the trust with your prospects before you even meet or speak with them. 4. Use acronyms and short forms sparingly, if at all: Most industries, especially the mortgage industry, are filled with daily uses of acronyms or short forms such as Ginnie Mae, adjustable-rate mortgages (ARMs) and mortgage-backed securities (MBS). Unless you know your reader understands these terms in their abbreviated form, it’s always best, and safe, to spell everything out or provide the complete definition of the term. 5. 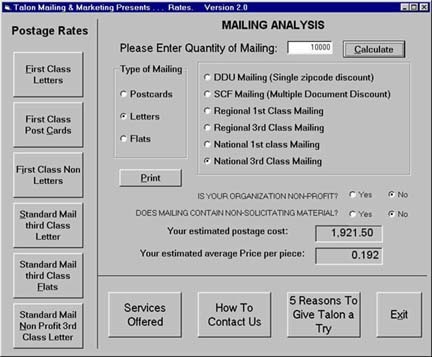 Create a personal tone: Your direct mail piece may be sent out to hundreds of people at a time, but your message should be created as if you are only writing to one person. Determine the best “voice” to fit your audience. 6. Use short sentences: Keeping in-sync with our first tip, your content should be composed of shorter sentences for easier reading. Try to keep each sentence under 15 words. 7. Cross your T’s and dot your I’s: It may seem like an obvious step, but it’s critical to check your spelling and grammar in all content that is sent out. Readers will be turned off if they feel you didn’t put the effort into making your direct mail a worthwhile piece for their time. Having multiple people review the content will help prevent these errors. 8. Write with a purpose: Why are you putting together this direct mail piece? Are you promoting a new rate? Providing education? Purpose should be the backbone of your writing. Once you determine your end goal, the content should be easier to put on paper. In conclusion, keep your mail piece’s message, direct, easy to read and with a call to action the borrower can easily find will improve the results of your mail efforts. K. Justin Restaino is vice president of Titan List & Mailing Services Inc. For more than 13 years, he has led Titan’s Mortgage Division, helping lenders of all capacities grow their businesses utilizing targeted direct mail. freepik.com - Helps you find free vector art, illustrations, icons, PSD and photos for using in websites, banners, presentations, and advertising. playbuzz.com - Enables you to play and create the hottest playful content on the web. Make your own quizzes, lists and polls, embed them on your site or just share. vocativ.com - Uses intelligent technology, smart journalists and the wisdom of the crowd to find story leads and angles no other news organization can. dropbox.com - A free service that lets you bring your photos, docs, and videos anywhere and share them easily. Never email yourself a file again! hive.im - Free and unlimited cloud storage for you and your friends. lifesum.com - Set a weight goal and they will help you reach it! Track what you eat and your exercises on the web or using your smartphone.